Salsa! 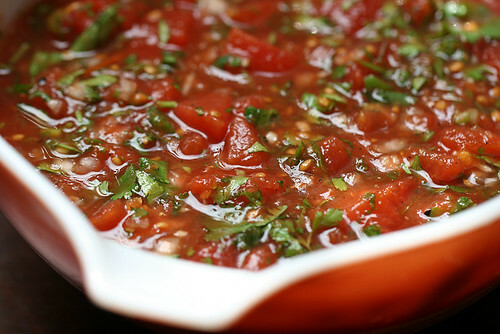 Reeeeally delicious super cilantroey salsa. Diced tomatoes, shallots, garlic, cilantro, green onions, lime juice, pepper and hot sauce. "Quinoa Mush" by Jay. 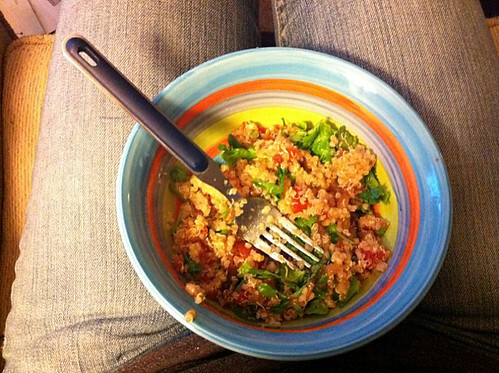 Quinoa, diced tomatoes, caramelized onions, cilantro, lettuce, pepper and hot sauce. Otherwise, I am still eating some burgers that didn't make the cut on Friday, and Sunday's chocolate tofu mousse.